Rav Chanoch Waxman, in his commentary “And God Saw That It Was Good,” notes that concerning the creation of man, in stark contrast to the creation of the animals [1:25], there is no explicit statement that God saw that it was good. Was not man the crescendo of the creation narrative? We are left with the apparent conclusion that while all else in God’s creation is [indeed very] good, man comes up short. A short detour to the end of the parsha tells the rest of the story. Adam and Eve choose not to follower God’s instructions. Disobedience was the “fruit” that they produced. Before long, their firstborn produced more of this fruit by murdering his brother. We are not privy to snapshots of the years in which the boys grew up and were taught by their parents. 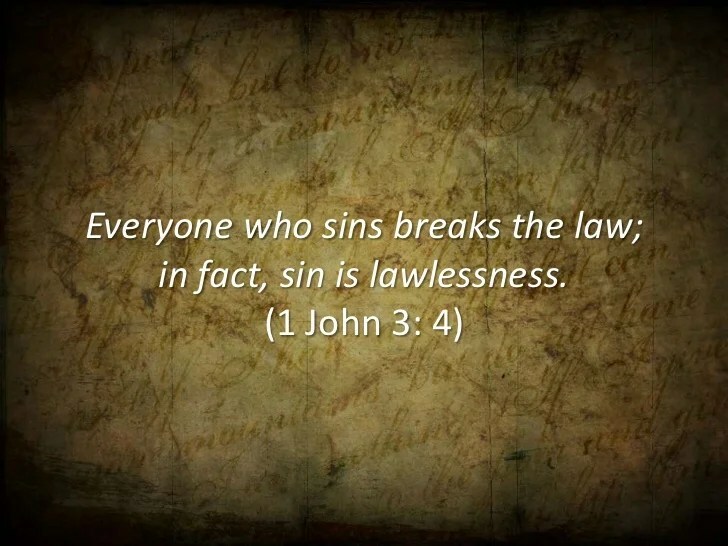 But, there is no doubt that they understood that disobeying God is sin; otherwise, Cain would surely have responded to God’s question, “What is sin?” John the Apostle succinctly defines sin for us. The King James Version states it another way. No doubt a repentant Adam and Eve had many times described for their children the lush garden with its prolific produce from which they had been exiled for their sin. No doubt they expressed deep sorrow and regret at their failure and emphasized the importance of obedience to their sons. Or, maybe, God taught the boys Himself. Cain does not seem surprised at the sound of God’s voice. In any event, the boys had received instruction in righteousness—which is exactly the definition of Torah. Righteousness is simply what is right, correct, just, and true in God’s eyes. To be righteous is to be blameless, a theme that flows throughout the entire Bible. To be righteous does not necessarily mean to be sinless, for only our Savior could live in such an exemplary way. However, righteousness means that a person deals with sin in a manner prescribed by God. On the other hand, to live without God’s instruction is to be lawless. In His Sermon on the Mount, Yeshua warned His followers of the consequences of lawlessness. God’s instruction for the “life and life more abundantly” (John 10:10) that Yeshua came to reveal is found in His Father’s Torah. The Torah is what Yeshua called the “narrow way.” The Torah reveals how to love God by walking in a manner that is pleasing to Him and how to love our neighbor by treating him as we would like to be treated. Contrary to popular theology, the Torah is full of grace and mercy. As an act of grace, God sacrificed an animal to cover Adam’s and Eve’s nakedness and, by doing so provided an object lesson that a covering for sin [atonement] requires the shedding of blood. The first five books [Genesis through Deuteronomy] are properly called the Torah and, yes, the entirety of Scripture is instruction for righteousness. However, the Books of Moses are the foundation of God’s design for mankind to overcome his sin nature in order to experience wholeness, wellness, health, financial stability, and peace in our homes as well as in our workplaces and cities. The balance of Scripture is either history that details Israel’s obedience or disobedience, or is prophecy of Israel’s future, or, as in the case of much of the New Testament, it is expounding of the Torah for new believers. Having now pursued a Torah observant lifestyle for twelve years, I have come to understand it as being the highest form of freedom available to mankind. The accusations of the religious leaders concerned the burdensome doctrines and traditions that men had added to the instructions given to Moses by God on Mount Sinai. For more about that, please read the short article Examining the Leaven of the Pharisees and Sadducees. Most of mainstream Christianity misses the point that believers are in covenant with the God of Israel. He identifies Himself by that term over 200 times! The New Covenant, according to Jeremiah 31 and Hebrews 8 is actually the renewal of the Covenant that was given on Sinai, with the promise that instead of commandments on stone tablets, the Torah would be written on our hearts! The God of Israel promised His Bride to Be that if she would keep His commandments, statutes, and laws, she would be His am segulah [literally: the kings’ jewels]. In other words, a beautiful crystal pitcher and a plastic mop bucket both contain water. One is “holy,” meaning a treasure which is set apart for special occasions, while the other is for common use. One is highly valued; the other is not. Barry Miller, author of Know the TIME, Change Your World points out that the very first full day on earth for mankind was the Sabbath. Imagining that Adam was created at mid-day on the sixth day, after which he viewed and named all of the animals, noting male and female while he had no such counterpart, he surely felt a loss he could not understand. Then, viola! he wakes from surgery to find his side aching and Eve standing over him in all her beauty. Miller theorizes that Adam must have been overwhelmed. He must have wondered what he was supposed to do. Have you ever felt overwhelmed and wondered what you were supposed to do? This is why the Sabbath was made for man [Mark 2:27]. Long before there were ever any Jews and almost before Adam had accomplished anything, he was given 24 hours to rest and contemplate, to talk to God, to ask of God, and to listen to God. In the stillness of the day, Adam was able to meet with God on His “set apart” day to receive insight and wisdom and direction. This is the purpose of the weekly Sabbath, though most either ignore it altogether or turn it into a busy time filled with religious activities. And, yes, we are commanded to have a “holy convocation” [Lev. 23:2-3]; but how does Abba describe it? Clearly, the weekly Sabbath is for everyone! The sun, moon, and stars were created to establish the other holy days, the Feasts of the LORD, which will be introduced in the books of Exodus and Leviticus. Jesus/Yeshua said, “Go and sin no more.” [John 8:11] How can we do that if we don’t know what sin is? Entrance into the Kingdom of God was from the beginning by grace through faith. It was true for Abel, Noah, Abraham, Isaac, and Jacob, as well as for the children of Israel who believed God and it was accounted to them as righteousness. Their deeds of righteousness, such as painting the blood of the lamb on their doorposts and walking out of Egypt, proved their faith, and they were rewarded by walking across the Red Sea on dry ground and seeing their enemies’ dead bodies floating behind them. The blood of bulls and goats never, ever provided salvation. The offerings were designed to draw the individual or the nation of Israel closer to God. Some were object lessons to demonstrate that as a living sacrifice, we must put to put to death our fleshly desires and draw near to God. The Hebrew word most often translated as “sacrifice” or “offering” is corban, literally means to draw near. Some corbanot [plural] depict Jesus/Yeshua’s blood sacrifice; others depict His roles in our redemption; still other are peace offerings which, in effect, are family or community celebrations of thanksgiving for mercy granted by way of protection, provision, healing, deliverance, etc. 4) To bless for obedience and to curse for disobedience. Even the latter is grace because curses are for the purpose of bringing the disobedient back into the fold via repentance and restitution which brings forth forgiveness and restoration. We have entered the Kingdom by grace through faith in the blood of the Lamb. But that is only the beginning. We have to learn to walk with Him. Like any earthly Father, Abba has the right to tell His children how to live in His House [Kingdom]. Aliens and strangers are charged with the responsibility of learning the law of the land when they emigrate. When someone from China, or Peru, or, India, or Australia becomes a citizen of the United States of America, they are obligated to follow the laws of the USA; and if they do not, they will surely be jailed and deported. As citizens of the Kingdom of God, we are no longer “separated from Messiah, alienated from the commonwealth of Israel and strangers to the covenants of promise, having no hope and without God in the world. But now in Messiah Yeshua you who once were far off have been brought near by the blood of Christ.” (Eph 2:12-13) Instead, we are grafted in to biblical Israel [not to be confused with Judaism] and , therefore, obligated by love and gratitude to learn and to keep the rules of the Kingdom. To do so is, in the eyes of the Creator, to bear good fruit. The Apostle John wanted his readers to understand without a doubt that Jesus/Yeshua is the Creator. His opening statement speaks to the Genesis account. Paul confirms that the Son is the Creator. This is a crucial understanding largely missed by mainstream Christianity which teaches that Jesus’/Yeshua’s ministry began only after He was born of a virgin. The fact is that His ministry to humanity began long before His advent, for the Lamb was slain from the foundation of the world [Rev. 13:8]. The Son was and is actively engaged with all of His creatures. 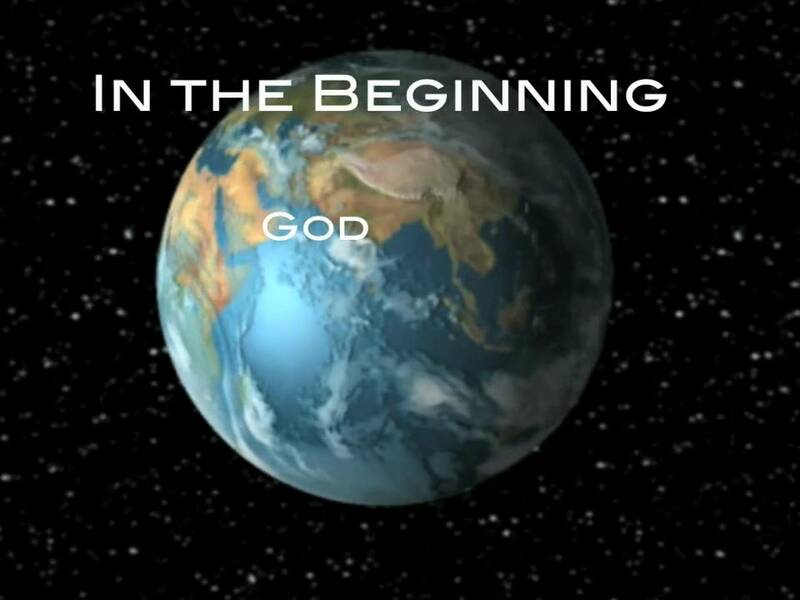 Everything that He created is for the purpose of providing for and teaching humanity. On the first day of creation, light was separated from darkness. The Creator said, “Light be!” and the light came forth. But, what was this light? Remember, the sun, moon, and stars were not created until the fourth day. The answer comes from the Book of Revelation. In a Hebraic mindset, everything is circular. We are headed back to the garden and everything that has been lost since the garden will be restored for eternity. We will go deeper into this concept in other lessons. But, for today, consider that the light that will shine at the end of days is the same light that shone in the beginning. But, how does the LORD give light? Ps. 36:9 For with you is the fountain of life; in your light do we see light. Ps. 43:3 Send out your light and your truth; let them lead me; let them bring me to your holy hill and to your dwelling! Ps. 119:105 Your word is a lamp to my feet and a light to my path. Ps.119:130 The unfolding of your words gives light; it imparts understanding to the simple. Somewhere along the way, Israel forgot that her primary assignment was to be a light to the nations, to draw all men into the Kingdom of God. But, wait. You may say that Jesus/Yeshua was the light of the world and to this we say, indeed! He came to walk out the Torah as a perfect example, in beautiful simplicity, minus the traditions of men that make the word of God of no effect. It has been suggested that within the depths of mankind is the same void, darkness, and formlessness over which the Spirit of God brooded on Day One of Creation. Most certainly, those of us who know Messiah and have spent some years learning of Him can testify of the remodeling He has done. 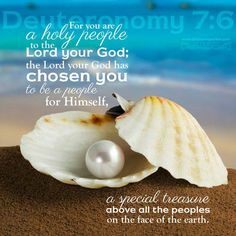 Abba Yahweh wants to separate us from the darkness in our upbringing, culture, and traditions, that we may be conformed to the image of His Son, fully set apart, holy unto the LORD. Commentators have been puzzled for millennia over the fact that the creation narrative begins with a less than perfect scenario. But, perhaps, as Rav Waxman suggests, our blessed Bridegroom is more interested in introducing Himself as Restorer and Conqueror of Chaos than the All-Powerful, All Knowing, Eternal and Most High God who created everything from nothing. Maybe, continues Waxman, He wanted us to know that He broods over every soul in darkness. He cares about every heart that is wounded. He desires to transform each one of us into the being that He had in mind when we were formed in our mother’s womb. Until next week, Shabbat Shalom!